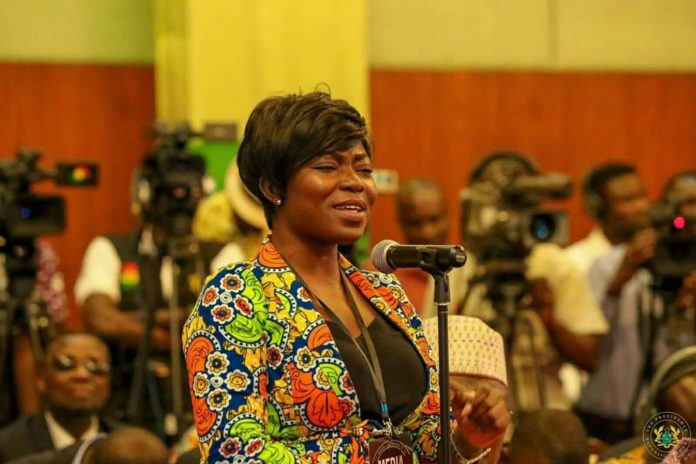 Adom FM’s News Editor, Afia Pokua, popularly known as Vim Lady, has assured that she is ready to do her necessary duties, including even licking her man, to make him happy. 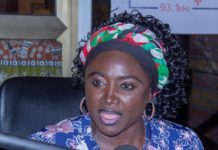 Afia Pokua, who says she is the Convenor of SUGARDEM GH, assured that she and her peers are ready to cook, wash and do all chores as women for their men. The only caveat, she said, is for the men to also ‘sugar’ them. 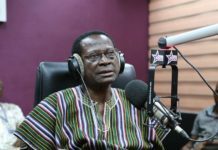 The Adom FM Editor was wading into the feminist controversy that women who cook and do other chores are slaves. Vim Lady said in a Facebook post Wednesday said they are ready to battle any individual or group that share a different view. In the post, she said: “My name is Vim lady Afia Pokua, Convenor of SUGARDEM GH. I want to assure the men that we shall cook for you, wash for you, massage you, feed you and “bed you”; all we ask is you SUGAR US TOO. we will even lick for you. We are ready to battle anyone or group that wants to pepper you. We were born to support you, not to compete for power. Our joy is to see you happy and successful so that you will support us too.